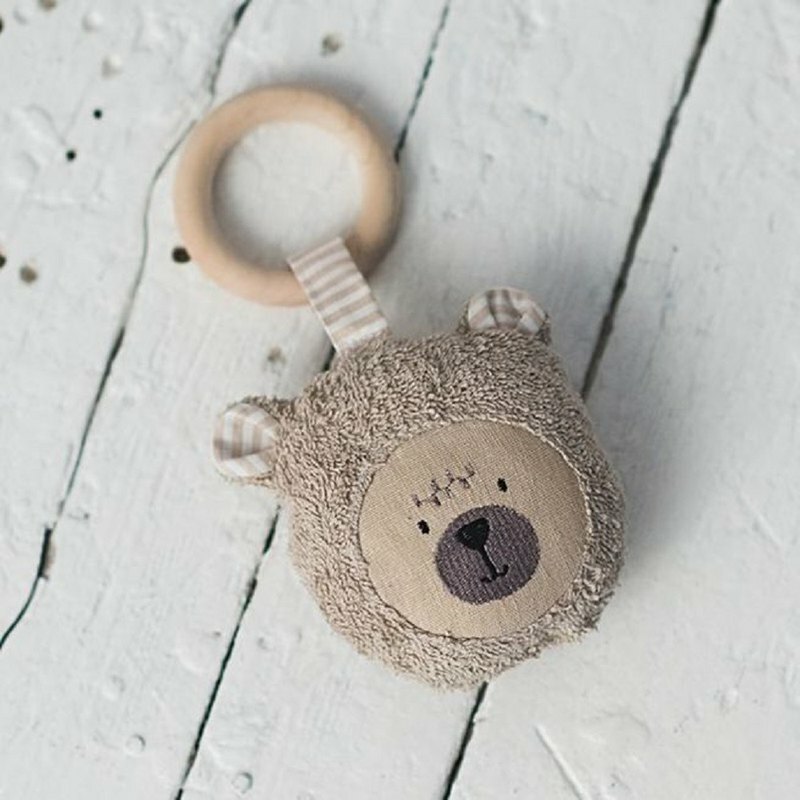 Wooden teething ring toy teddy bear Perfect gift for a newborn baby! Babies explore the world by putting everything in the mouth, so such toy is a necessity. Made from natural wood, not impregnated and coloured. This is an ecological chewing toy. Wooden ring is 1 cm width so is perfect for a little baby’s arm. Toy is made from 100 % cotton with a filling.